Installation of an 8-faucet hand-washing station at Janlay School. 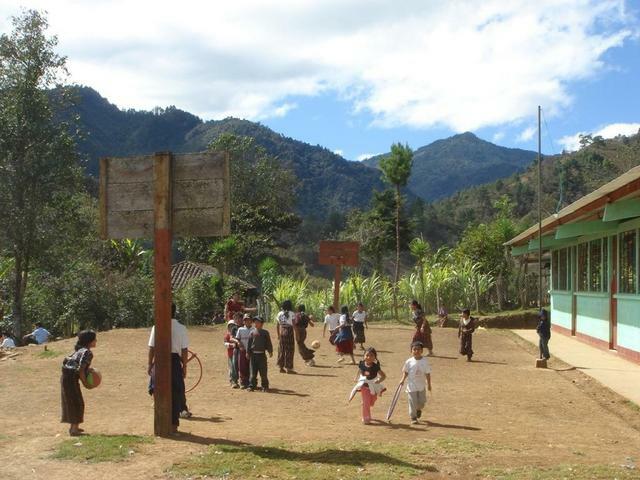 The school “Escuela Oficial Rural Mixta Janlay” is located in JANLAY a community in the Municipality of Nebaj. Nebaj belongs to the so-called Ixil-Triangle in the Department of El Quiché in Guatemala, Central America. The community Janlay is located approximately 12 km north-west of Nebaj. Set amid a mountainous landscape, the climate is cold, humid and rainy. 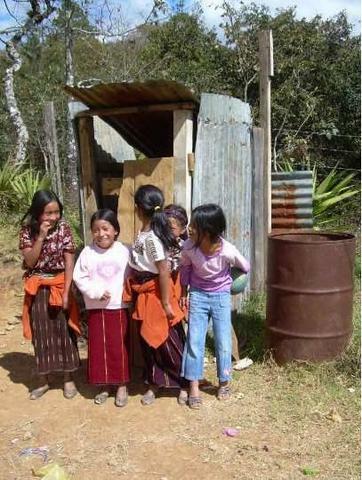 The school’s sanitary facilities include flush toilets. The hand-washing stations installed lack water, especially in the dry season. The only water access is via a traditional sink with open water reservoir. The water is easily contaminated and therefore major source of germ-distribution. 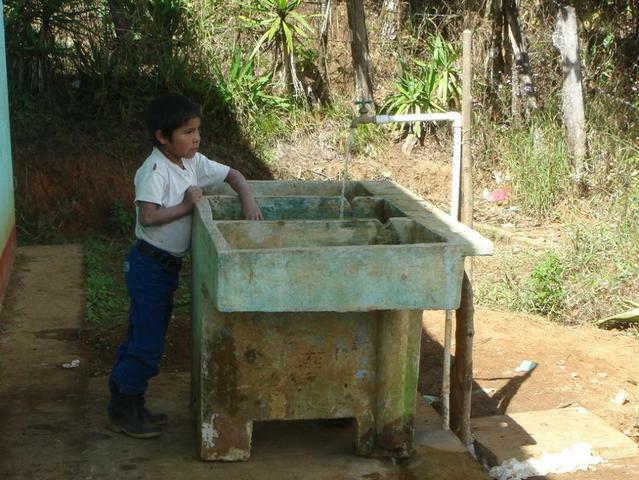 A hand-washing station with water reservoir will be installed to improve the children’s hygiene. The village has a gravity-flow water system implemented by INFOM in 1996. The system consists of a spring box, a distribution tank and a household connection for every family. The project will be executed on the premises of the local school in which 8 teachers educate 217 children. The community consists of 80 households with a total of approximately 500 inhabitants. We build working relationships with the communities while providing access to water for all members within the community. Our goal is good health for the communities in which we work, therefore health and hygiene promotions are an integral part of each project. To further improve the health and hygiene for children APS carries out specific projects providing appropriate sanitation (hand-washing stations and latrines or flush toilets with septic tanks) to schools in the communities. The hand-washing station designed by Agua Para La Salud has been optimized throughout the years, reducing maintenance necessity to a minimum and facilitating the cleaning of tank and grey water conducting system. The hand-washing station provides eight taps and a 500 liters water tank to ensure the school children’s access to water. Unskilled laborers of the community, most probably parents of the school children, will help the masons working for Agua Para La Salud with construction. Government provides basic funding for school maintenance along with yearly contribution from parents.